Thanks Kasper for Your kind reply, glad that You have enjoyed those outstanding Hamilton's designs from Richard Arbib (me too!). And now, again before Episode 3 (that will present watches related to the Moon/Lunar Conquest!) , my new watch (I am waiting for it to arrive!) made to celebrate the Moon landing in July 20, 1969 - Apollo 11 Mission - The Ermano Lunastar with a caseback image of Moon Landing/Lunar Module and an Astronaut taking lunar samples + with original box! Note:I will publish the (hi)story of the watches celebrating the MAJOR LUNAR CONQUEST/LANDING eventually later! Finally, the watch has arrived. where is mentioned that "note that NSA offered this bracelet for other brands, so make sure that it has the Heuer logo on the clasp." It seems that the Swiss Ermano company really wanted to impress people at those Basel Fairs in early '70!!! saw this one passing by a few minutes ago...looks the same? It seems there are a limited number of watch brands that have been issued watches meant to celebrate Major Space Conquest achievements...and I will may present them later on this thread, including some other types from Ermano brand. "If you can find an original Red Heuer box, then certainly grab that to go with the watch. These boxes sell for around $1000 "
The watch - a Spaceman AUTOMATIC 1972 OVAL launched model, but it is NOT MADE in 1972-1975, only a little later - and it is in a decent condition, it will need only a proper dark brown Corfam Spaceman bracelet and clearly a watchmaker revision. And even more strange, it is made by the almost unknown Kotana brand. But for what reasons I have made the above statements??? And The Sputnik Brand/ Trade Mark was registered by the SWISS Camy Watch company in Genf und Grenchen, Schweiz at 13.11.1957, a little more then a month AFTER USSR Sputnik satellite launch!!! There are quite many of them available, since CAMY have produced this line of "Sputnik" watches for almost 10 years ! , but only quite FEW of them have been made in the 1-2 years after 4 October 1957 (4.X.1957), when the FIRST (USSR made Sputnik!) satellite have been launched!!! But the below one, is a really special watch, one of the first released (! )- and it is already in my collection, so if You want more information, just let me know! 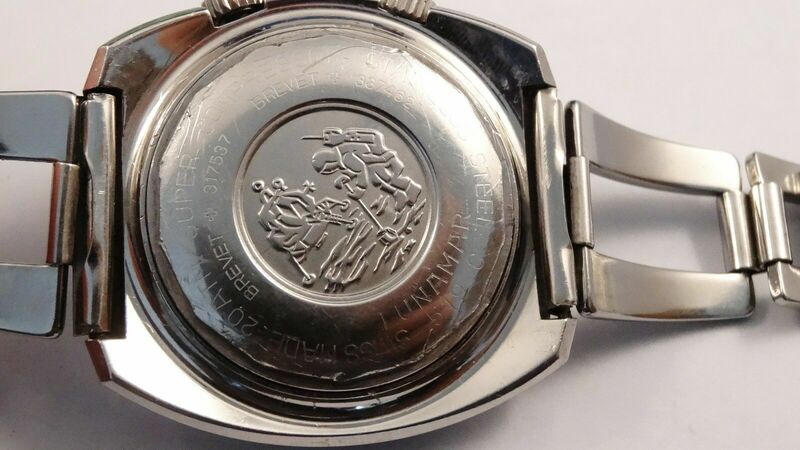 Otherwise, If you want more information about this types of Western/Swiss Made watches, celebrating an Eastern/USSR space achievement, please let me know!!! Please look at the "dauphine" type hands, the "circular guilloche dial" etc etc...it is really genuine '50s Swiss/Western made watch with high quality standards and 21 Jewels, but celebrating the Eastern/Communist block Space Conquest achievements!!! How often do You think that we will find such a PARADOX in watchmaking history??? Last edited by cybr on 09 Apr 2018, 19:49, edited 2 times in total. Maybe a bit off subject but i've always referred to these Longines LEDs as "Spacehelmets"
Isnt that Robbie the Robot? Some other's ie. sellers on Ebay call them the Grail watch? gjlelec wrote: Maybe a bit off subject but i've always referred to these Longines LEDs as "Spacehelmets"
Adam wrote: Isnt that Robbie the Robot? In my humble opinion, almost all 70's "Space Helmet"-like watches that I know are inspired MORE from SF movies (and not always from the most famous SF movies! 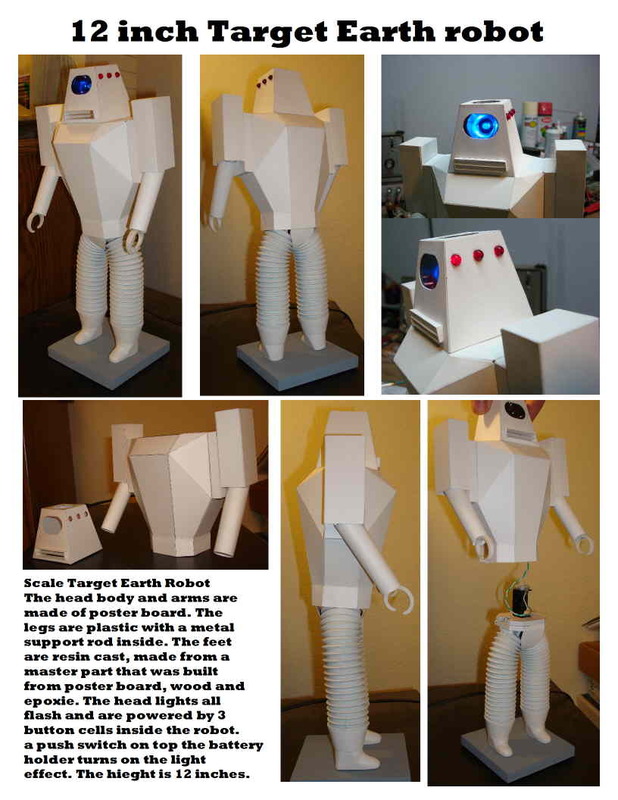 -please see the below Target Earth SF movie ), and LESS from the REAL-LIFE Space Age events: e.g. First generation Catena Spaceman face (but not the caseback!) is inspired from Space Odyssey 2001 movie, Catena Spacesonic is inspired probably from the Star Wars 1977 movie etc etc. And just to underline even more that "ROBOT" "SPACE HELMET? 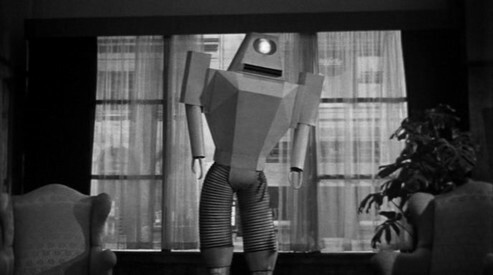 "-like design, in this case PROBABLY related to the ROBOT Torso+Head from Target Earth (1954) Movie, below it is a RARE Tempic LCD Chrono ZEIT COMPUTER =TIME COMPUTER (cca 1977-1978) OF A SIMILAR Robot "HELMET? "-like DESIGN as the ABOVE MENTIONED LONGINES(!!! ), but with an ESA 942711 module (same module as in the Catena Spacesonic Chrono or Zodiac Astrodigit Chrono ). And the surprising caseback, with the bracelet fixed by SCREWS, in a RARE and a similar manner with the famous CATENA SPACESONIC! What if all THE RAREST "CARENA" (NOT CATENA!!!) labeled SPACEMAN LCD watches (=SPACESONIC) are - pure an simply - ANOTHER watch brand, not a SWISS registered "CATENA" brand, as every Spaceman collectors may have already agreed??? 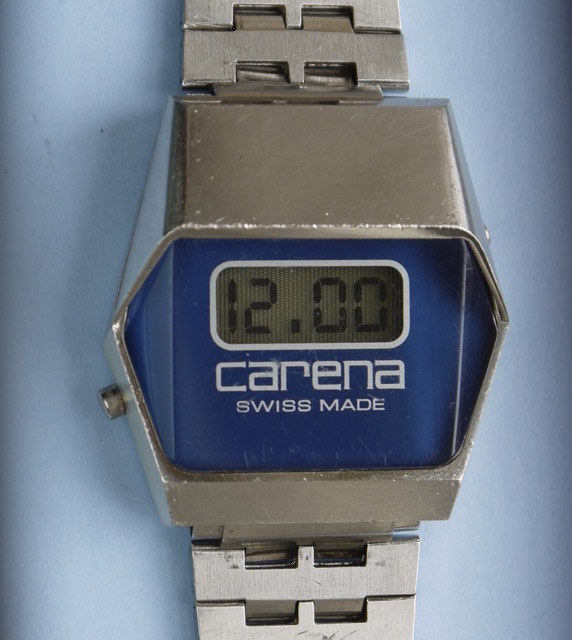 But since they are NOT labeled CATENA but CARENA, COULD THEM be - pure and simply - just only a part OF ANOTHER relatively unknown SWISS BRAND LABELED CARENA - with a very similar logo and (a copied?) design ??? Do You have an answer to this challenge?? Because I have it and many other Spaceman/Spacesonic watches collector's have it , but I expect Your opinions first! Thanks Kasper for the post. For more information, please see the URL below, BUT DO NOT TAKE as granted ALL that is written there about this watch!!! And until now only 3 or 4 of such watches were reported in the collector's ring! BUT why the NICKNAME "CATENA SPACESHIP"??? Please look at the below photo - MULTIFACETED SS CASE + FACETED CRYSTAL and a BOLD "SPACE AGE" profile!!!! When Catena Watch Company men have launched the Oval Spaceman at Basel Fair in 1972, it seems that they were prepared also for an "worst case scenario" - that the Space Conquest (and SF movies) inspired Spaceman Oval watch may not be a real success on the market. Thus, as some people may know, they had also prepared another Spaceman design - the less "outer space" and more "earthly" SPACEMAN7z , without the helmet-like mask, with a circular dial and different bezel on the case. And it seems that it was meant for the more "conservative" buyers. Fortunately, the Helmet-like Spaceman, inspired from Space Odyssey 2001 movie was a real success. So the production of the "more earthly" SPACEMAN7z was quite brief and in a quite limited numbers. Thus today, Spaceman7z is a very sought after watch in the Spaceman collectors ring. But until now NO ONE has seen or reported a GREEN dialed Spaceman7z. But prior was the SWISS Camy Watch company in Genf und Grenchen, Schweiz, who registered the Sputnik brand at 13.11.1957, a little more then a month AFTER USSR Sputnik satellite launch!!! And even more, CAMY have registered also THE SPUTNIK launching DATE , as the brand/trademark "4 X 1957" registered by	Stroun Freres SA / Camy Watch SA / Cronel Watch SA Genf, Schweiz at 27.3.1958!!! And since the Beginning of the Space Age Design Era is commonly attributed to the launch of Sputnik in October, 4, 1957 - https://en.wikipedia.org/wiki/Atomic_Age_(design)#Space_Age_design, one may find on the below watch, probably one of the first TRUE SPACE AGE DESIGNS EVER MADE!!! 2. The caseback labeled BOTH SPUTNIK and "4 X 1957"
3. The REGISTERED MODEL (= Modele Depose 21560) - this is not from my watch, since I did not opened mine yet! Here it is my new addition to my small collection and UNIQUE (=first one reported in the collectors ring; =very rare; =first one I have seen etc ) Catena Alarm watch (prototype? ), sporting an AS 1930 Alarm movement, a movement made in only cca 127000 pieces between 1969 and 1974. 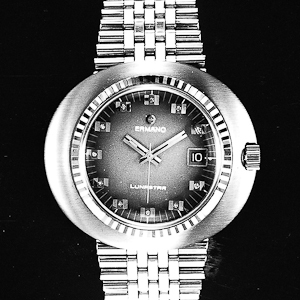 Thus the Catena watch below - having also a Spaceman-like LOGO,and with a Catena SN 11181, may be dated somewhere between 1972 (most probably, because of the Catena Spaceman-like LOGO/symbol)!) and early 1974 (the date when AS 1930 movement was out of production! ), a production time confirmed also by the five digits early 70's Catena SN: 11181. Thus I kindly ask You: DID you saw somewhere a similar watch, having the same CATENA NAME with those specific CATENA Spaceman-like FONTS??? ...and also a Catena LOGO/symbol - above the Catena name on the dial - a logo/symbol found otherwise only on the Catena Spaceman watches??? Thanks in advance for Your kind answers! 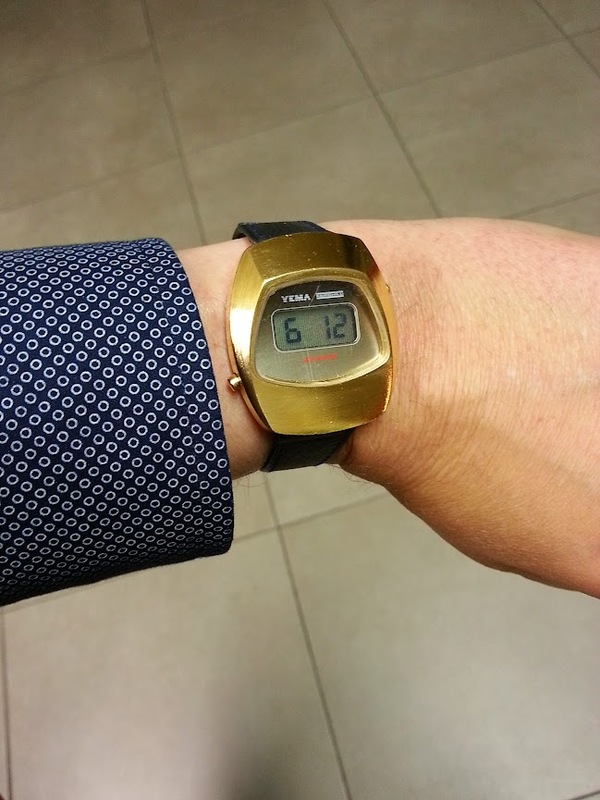 It is a 20 ATM - 200M Water Resistant watch ( a quite rare watch in the early 70's! ) and it is even sporting a contemporary and rare TROPIC 19 mm Diver bracelet :)). Also the watch CASE is one of the first - IF NOT THE FIRST ONE !!! , with a fiberglass/plastic case with a TESTED 20 ATM WR/Water Resistant!!! Please tell me if you want more information about this outstanding and rare Space Age Era watch! Why is this Ermano/Lunarama- Jaquet Droz watch so interesting? 1. First of all, the above watch is branded LUNARAMA - a brand registered in January 7, 1970 by the same Ermano SA Watch Company that have registered and presented also the Ermano's Lunastar watches at Basel Fair in 1969 and 1970, as one may read above on the presentation of my vintage Ermano's Lunastar watch. 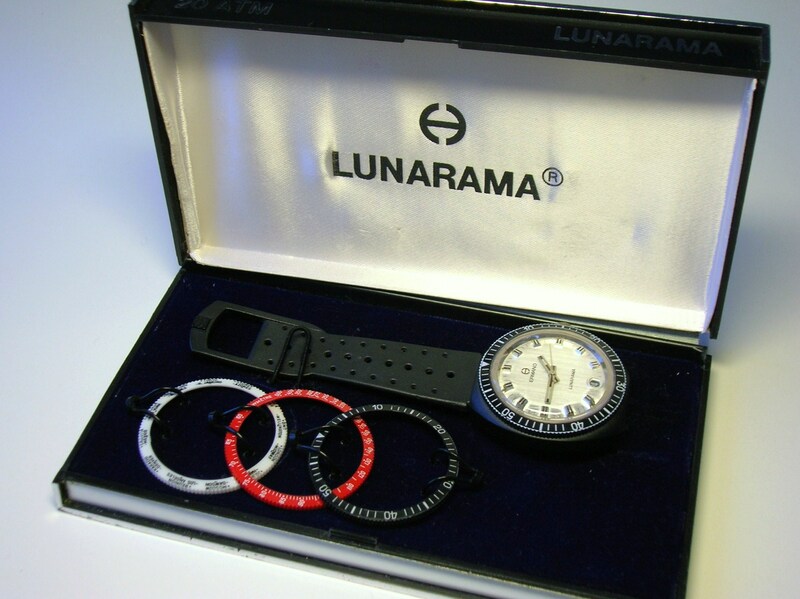 LUNARAMA brand was also meant to celebrate Lunar/Moon conquest,thus the watch has a picture of an astronaut taking Moon samples near the Moonlanding module. The watch case is made from plastic (Delrin? ); IT IS SPORTING A INTERCHANGEABLE PLASTIC BEZEL THAT MAY INCLUDES a WorldTime,a Tachymeter and a Diver's BEZEL, and it was tested as water resistant at 20 ATM (200M), the same as the dedicated DIVER's version of a Ermano's watch, branded LUNAMAR. Thus it may be one of the first 20 ATM water resistant watches made of plastic, in early 70's!